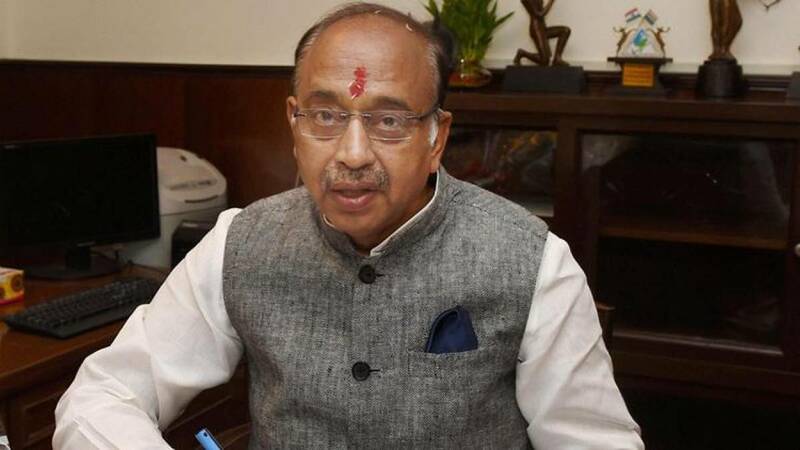 Delhi : It was yet again foot-in-mouth moment for Union Sports Minister Vijay Goel when he referred Rio silver and bronze medallists PV Sindhu and Sakshi Malik, as gold medallist even after staying at Rio with Indian players throughout the Olympics. #While talking to media, the minister said, “Today the Khel Ratna awardee, Dhyan Chand awardees, Dronacharya awardees, Tenzing Norgay National Adventure awardees met the Prime Minister. In that we also had two Rio ‘gold medallists’ PV Sindhu and Sakshi Malik. #Vijay Goel later explained it as a ‘slip of tongue’, this can happen at times. #He further said, ‘I wanted to say medallist but ended up saying gold medallist and anyway, who knows we might bag a gold medal in the coming years’. #However the twitteratis were in no mood to let-off the minister and immediate trolled him mercilessly.